Why Singapore Math books ? Singapore students were in first place in the 1995,1999 and 2003 TIMSS. TIMSS (Trends in International Mathematics and Science Study) is designed to measure trends in students mathematics and science achievement in four-year cycles. 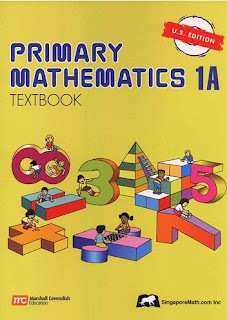 Singapore students who took TIMSS in 1995,1999 and 2003 were using the Primary Mathematics series (the only math series in Singapore that was written by the Singapore Ministry of Education). In all three rounds, Singapore students came in first in mathematics. The results speak for themselves about the Primary Mathematics series - the Singapore Math series offered by Singaporemath.com Inc.
Media coverage on schools in the U.S. using Primary Mathematics (the real Singapore Math). The New York Times on Singapore Math - Oct 1st 2010. Brandywine School District has added Singapore math DelawareOnline (Edward Kenney, January 6, 2011).